Well in continuation to my previous post how to make a TROJAN Virus, Now we will see how do Hackers Bind Virus to a FREE software available to you on the internet or a software from your friends. IF you have not Read How to make a Trojan please click here. Now everyone knows as you also have experienced that a small file as small as 10kb,40kb,60kb,160kb..etc is mostly a virus. Now Hackers know that most of the people DO NOT click on such small files now how to make a bigger more useful file into a virus, for that we have BINDERS. 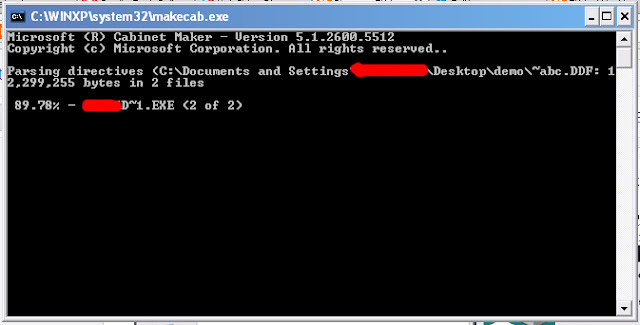 Now Today what I will do is not with a download tool but from a TOOL which is already present IN WINDOWS. In the Previous Post you made a virus file named as SERVER.EXE now you need to Select a software with which you need to bind the virus, Say I choose a useful software say a music player. Now let us start with binding file using a Windows Tool IEXPRESS. 1. Create TROJAN VIRUS (please refer here) and Select a file with which you want to bind a virus and keep both of them in a folder. 2. Now if you are using windows 7 Goto-->Start-->click on the search bar (bottom)--> Write IEEXPRESS, and if you are using windows XP then Goto-->the Drive where windows is Installed for eg: C Drive-->goto Windows Folder or WinXP(in some cases)-->System32-->Double Click on IEXPRESS.EXE and this window will appear. Now click on the option selected above. 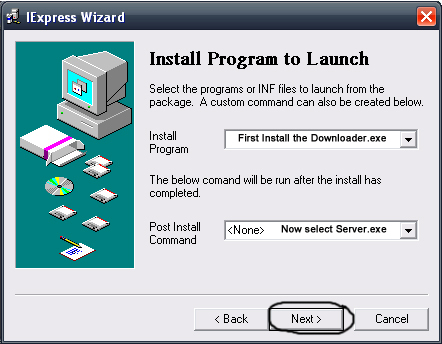 select --> DISPLAY MESSAGE--> in the White Bar write "Thank you for Installing XyzDownloader". 12. Next Screen is "CONFIGURE RESTART" because it's a small software we will not ask for a System Reboot, Click on NO RESTART. 15. Finally in the Destination Folder You have your INFECTED software.